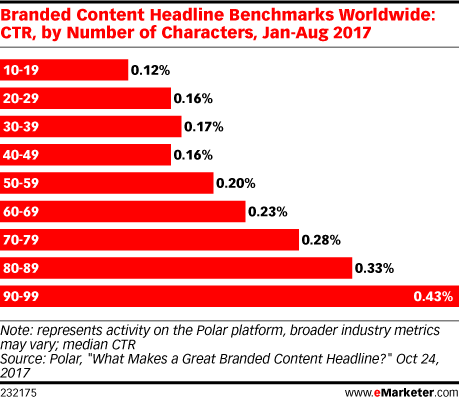 Data is from the October 2017 Polar report titled "What Makes a Great Branded Content Headline?" 10,627 unique headlines promoting branded content through the Polar platform by publishers during January-August 2017 were analyzed. Attributes such as bigram or special character had to have been used in at least 25 headlines and by at least two different publishers to be factored into the performance ranking. Polar operates the MediaVoice native advertising platform.